$100,000 might not sound like much when it comes to a presidential election. But the Russian troll farm that bought $100,000 worth of Facebook ads could have reached millions of American voters using the social media company's sophisticated software, which allows ad-buyers to target Facebook users based on anything from their age to their hobbies and political interests. Facebook told congressional investigators on Wednesday that it sold approximately $100,000 in ads to a so-called Russian troll farm that was looking to target American voters. "In reviewing the ads buys, we have found approximately $100,000 in ad spending from June of 2015 to May of 2017 — associated with roughly 3,000 ads — that was connected to about 470 inauthentic accounts and Pages in violation of our policies," Facebook Chief Security Officer Alex Stamos said in a statement. Facebook won't say publicly what exactly the ads were or how the trolls targeted them, but the process of targeting audiences using Facebook is not a secret. Facebook allows advertisers to target people as young as 13. In the United States, Facebook says, its ads can reach a potential 229,000,000 people. 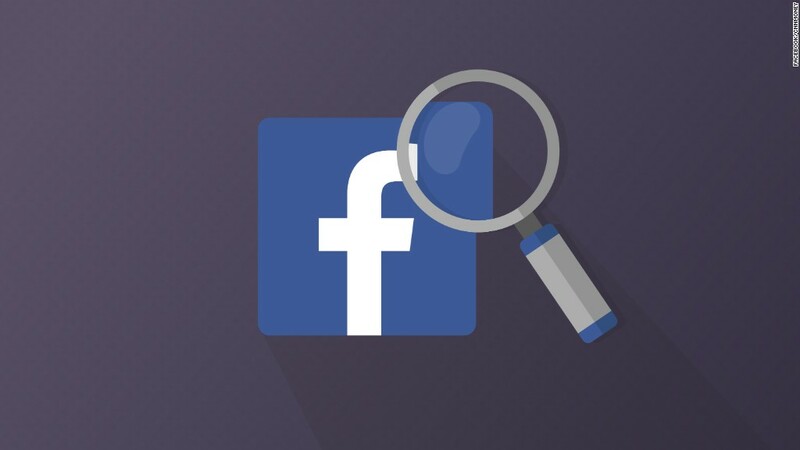 According to Facebook, someone buying an ad for $33 (the average cost suggested by $100,000 spent on roughly 3,000 ads) could expect to reach between 11,000-63,000 users in one day. The potential reach of such an enterprise grows quickly as more money and more time is spent on it, though. And, much the same way that political campaigns focus on specific groups of people rather than trying to reach all Americans, people buying ads on Facebook don't necessarily need their work to have a huge reach in order for it to have real impact. The real value of Facebook ads is the way the platform allows buyers to target their audience based on thousands of characteristics. Want to target women between the age of 18-25 who live in Illinois, currently attend college, and listen to Lady Gaga? No problem. There are 41,000 people on Facebook like that, according to a search of the network's ad platform. For $33 a day, you can reach between 2,500-8,600 of them. Spend $500 a day and, Facebook says, you could potentially reach almost all of them. With that money, you can amplify almost any kind of content. It can range from videos and memes to links to articles or websites -- including websites the ad-buyer doesn't own. There is nothing stopping an ad-buyer from spending thousands of dollars to boost an article from a partisan news outlet that they may in no way be affiliated with. A candidate could share a link to a newspaper's endorsement of their policies and amplify it, for instance. An outfit like the Russian troll farm would not need to be working with a political campaign, or even with Americans at all, in order to create some havoc in an American election. Anyone with a rudimentary knowledge of U.S. demographics and electoral politics could get a decent job done thanks to the information Facebook offers. For instance, for $1,000 a day it's possible to reach between 8,900 and 35,000 women aged between 22-45 in Wisconsin who "have expressed an interest in or like pages related to Hillary Clinton." Swap out Clinton for Donald Trump and you can reach 24,000-120,000 people matching that criteria each day. During the election, Facebook also allowed advertisers to drill down even more precisely and target users by race. It ended that practice November 11, 2016, just days after the election. The decision to suspend the option to target based on what Facebook had called "ethnic affinity" was prompted by a ProPublica report showing that the option could be used to discriminate against users in housing-related ads. The number of users Facebook say match a certain criteria should be viewed with some skepticism. Research released earlier this week showed that some of Facebook's estimates were at odds with census numbers.. Facebook's Ads Manager claims to have a potential reach of 41 million people in the US between the ages of 18-24, but the US Census Bureau estimated there were only 31 million people in that age range last year, according to the Pivotal Research Group, a New York-based equity research firm. Facebook says its numbers are not based on census information. The company says its estimates could include non-residents and people who self-report ages that do not match the government's figures. An advertiser with their own database of consumers -- or voters -- can target an ad campaign even more precisely using Facebook. Facebook allows advertisers to upload databases of names, phone numbers, email addresses, date of birth, and zip codes. Facebook then uses this data to find the Facebook accounts associated with that information -- or, as they describe it, "We'll compare your data with ours to help you find the people you know on Facebook." If, for instance, a political campaign gathered the names and phone numbers of people who attended a rally, it could then input that information into a spreadsheet and upload it to Facebook. The platform would then find those users and allow the political campaign to target them with ads. Facebook also allows advertisers to create "unpublished page posts," sometimes referred to by researchers in the field as "dark posts." "Unpublished Page posts allow Page admins to manage delivery of ad content through audience filters," Facebook says. Imagine, for instance, that a shampoo company wanted to create an ad campaign in six languages, but didn't want to clutter up its Facebook page by posting the same ad six times in different languages. Unpublished Page posts would allow the shampoo producer to create the posts and boost them through the Facebook ad platform, while ensuring that the only people who'd actually see the posts would be those specifically targeted. When this practice moves from shampoo to politics, though, it can become problematic. A misleading or outright false post could be created and targeted at such a small subset of voters that it might never be noticed by a political opponent, or by media outlets that could debunk the falsehood. Sen. Mark Warner, the top Democrat on the Senate intelligence committee, told CNN on Wednesday that Facebook's disclosure was just the "tip of the iceberg" when it came to election interference on social media. Mark Jablonowski of DSPolitical, a political marketing firm that works primarily with Democratic candidates, told CNNMoney that he thinks that the $100,000 spend Facebook disclosed Wednesday may have been a test run. "When I saw they spent $100,000 on Facebook with 3,000 ad variants, I thought this was likely a testing budget for a larger ad campaign. If that is true, this is just the tip of the iceberg. It wouldn't surprise me if we were looking at the first steps of a multi-million dollar campaign across multiple mediums," he said.